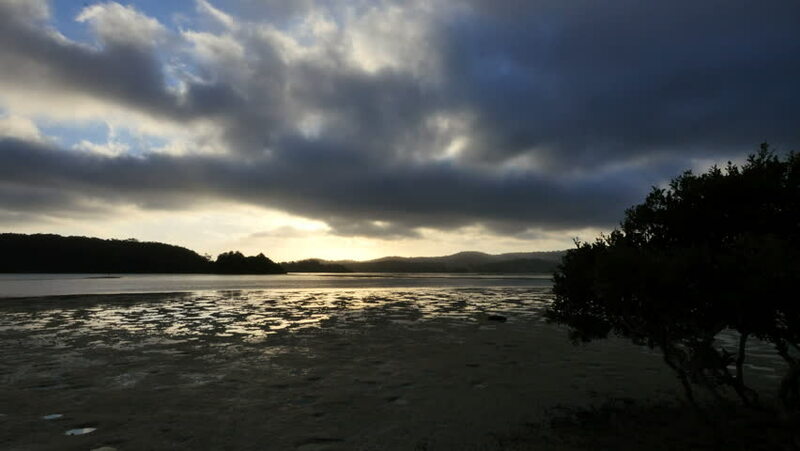 Sunlight is reflected in puddles on a mud flat at low tide in a late evening view. hd00:21Stunning time lapse during sunrise at rocky beach near Tanjung Jara Dungun Terengganu facing South China Sea on monsoon season. hd00:15Hawaiian Sunrise Timelapse in Kauai.